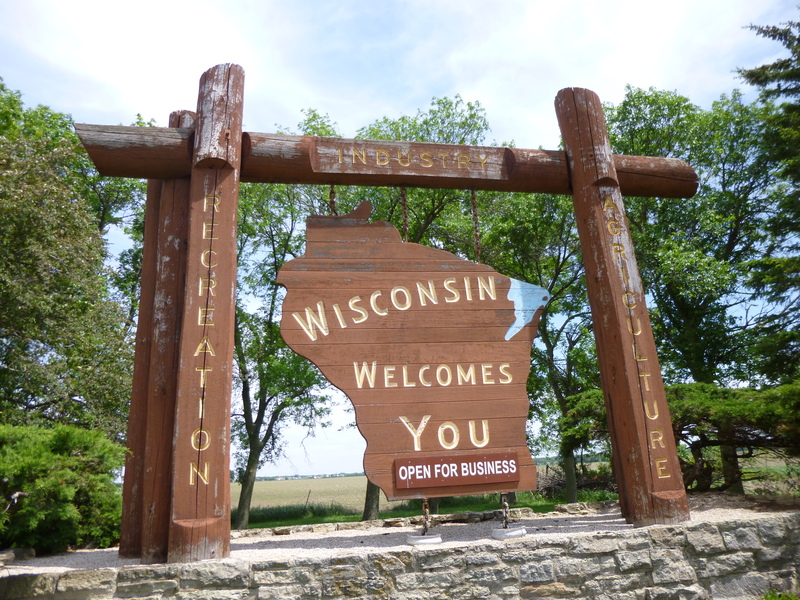 This morning I drove into Wisconsin – State #36! I had already picked out my donation spot for the day, and since I saw a grocery store nearly right away, I stopped and shopped for my donation, but more on that later. 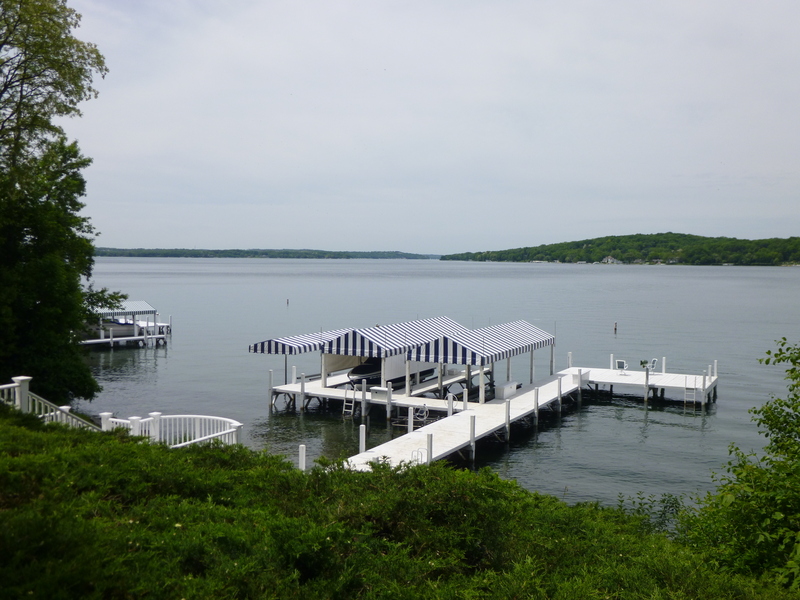 After shopping I drove to Lake Geneva – and it was a perfect summer day to enjoy a long walk in a summery lake community! 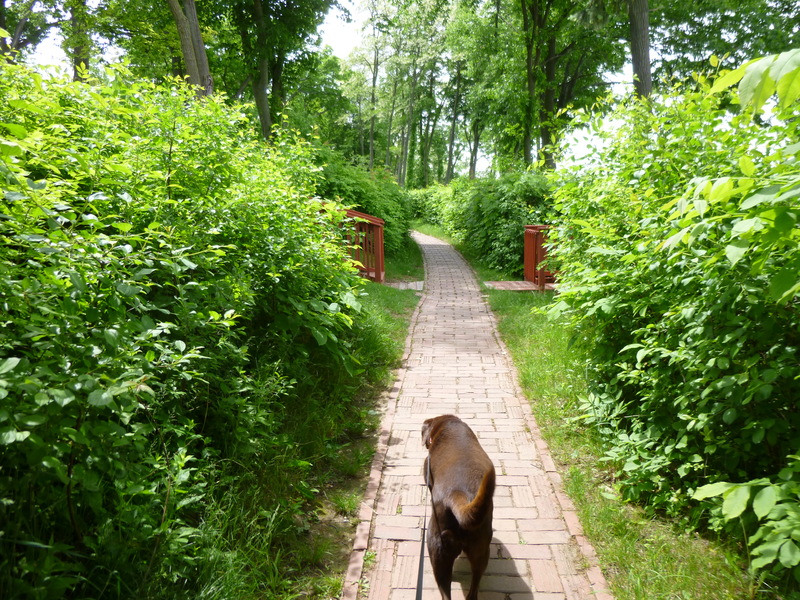 Tula and I found the 26 mile Lakeshore Trail that circles the whole lake. 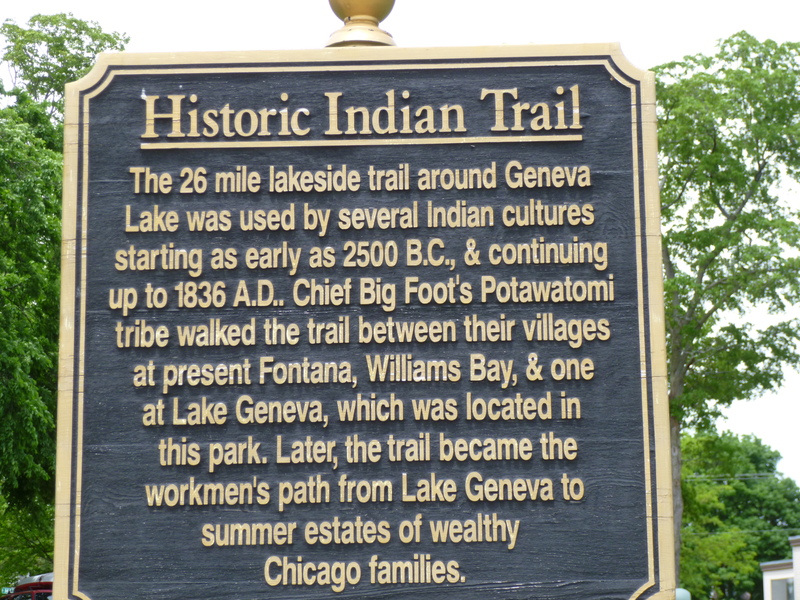 It’s an old historic Indian trail – they used it from about 2500BC til around 1836. 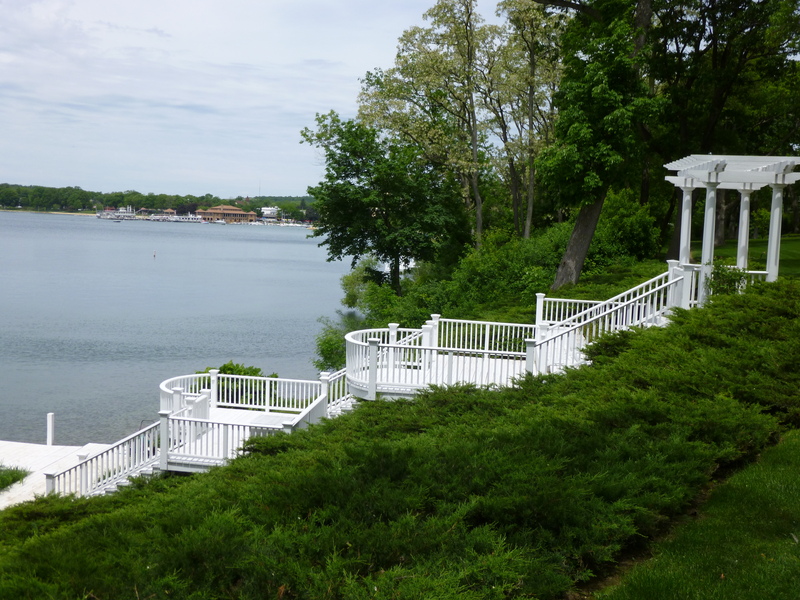 Then after the wealthy Chicago people started building summer homes on the lake, the workmen would use the path to get to the estates they were working on. 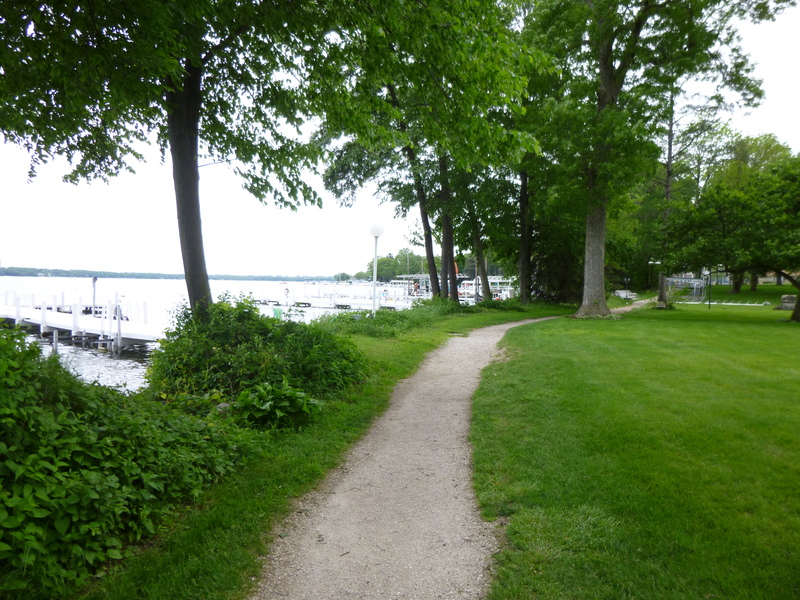 And today it still remains a pedestrian trail around the lake – right through everyone’s backyard. 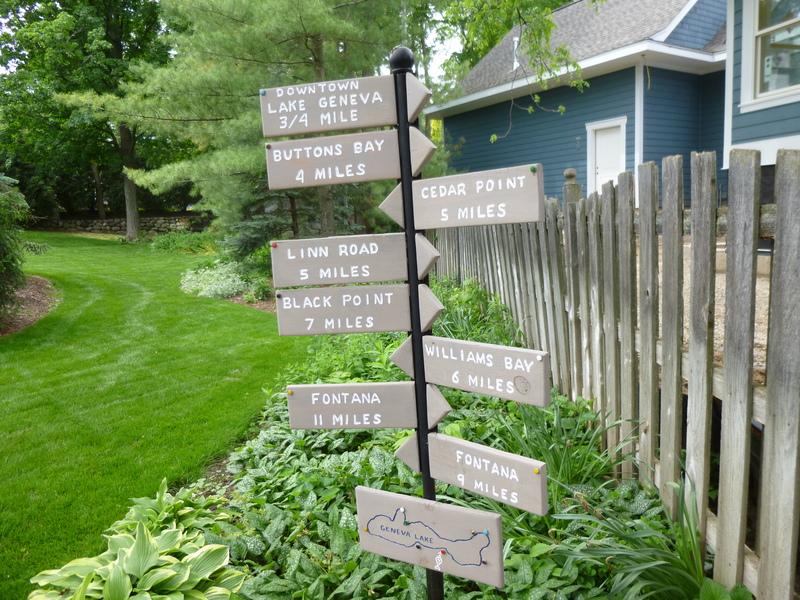 I kind of wondered about that – the people own their homes and yards, and they own their docks and boats, but the trail (typically right down by the water) is open to the public at all times. I felt a bit as if I was trespassing, especially if the families were out in their yard, but other people were out walking, and I’m certainly much quieter than the many school groups I passed! 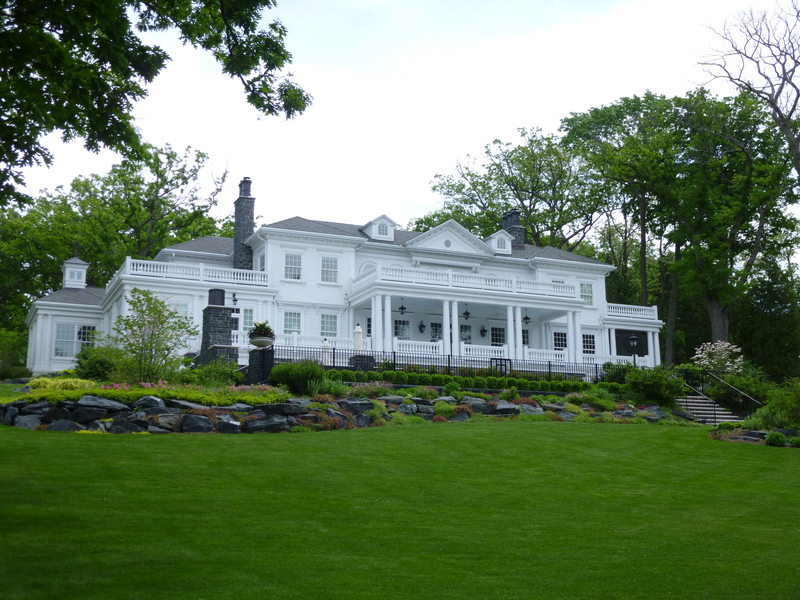 I passed luxurious, elegant mansions set back on large landscaped lawns, and there were lots of flowers and it all smelled so good. 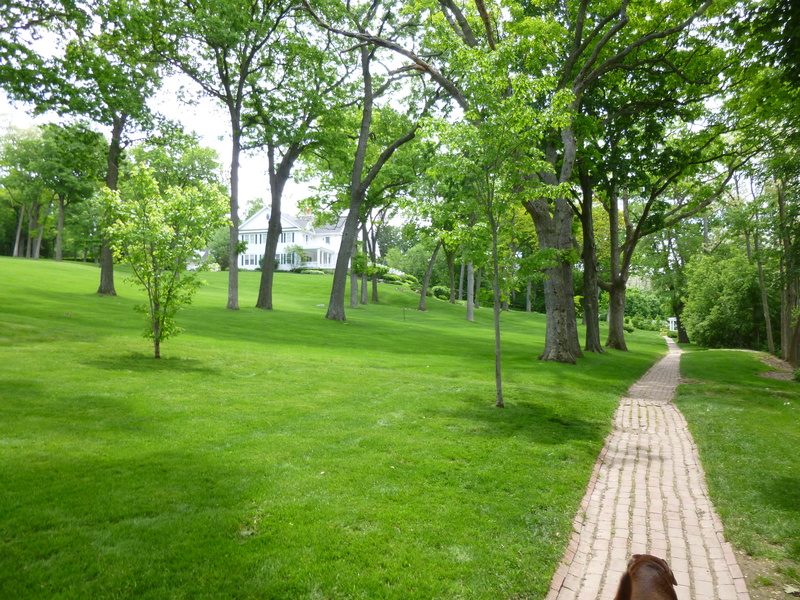 The path changes from yard to yard – it could be concrete, asphalt, patio stones, brick, or just dirt. 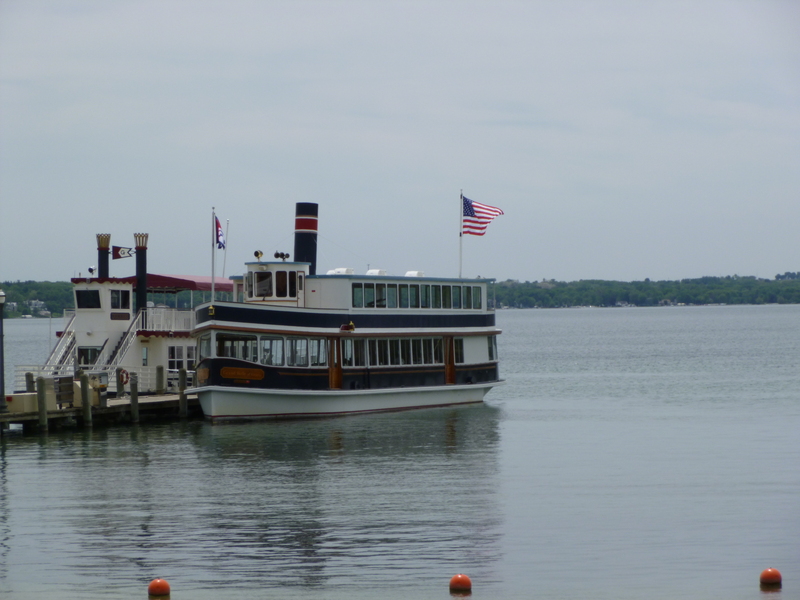 Most people had their docks and boats out, but a few were in the process of having them installed. There are apparently work boats – or platforms – with small cranes on them to help with the installation. 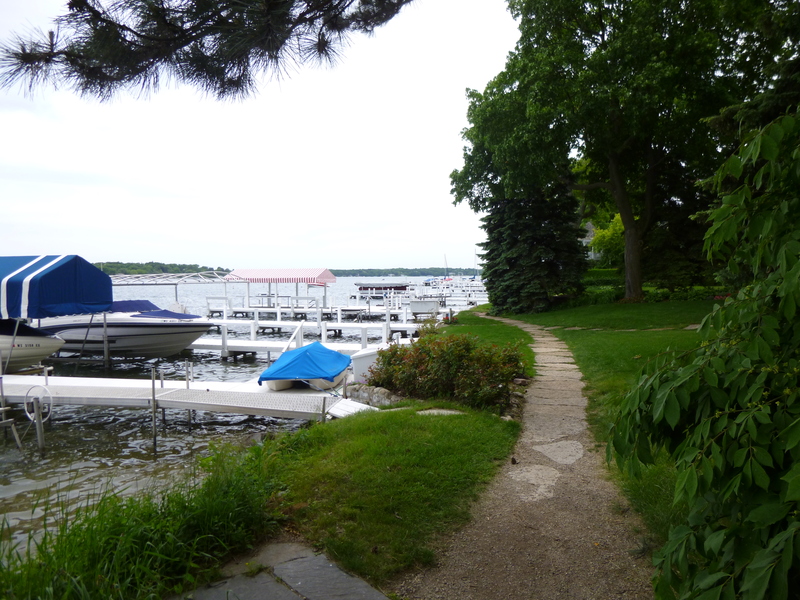 And there’s a big public marina where the walk started. 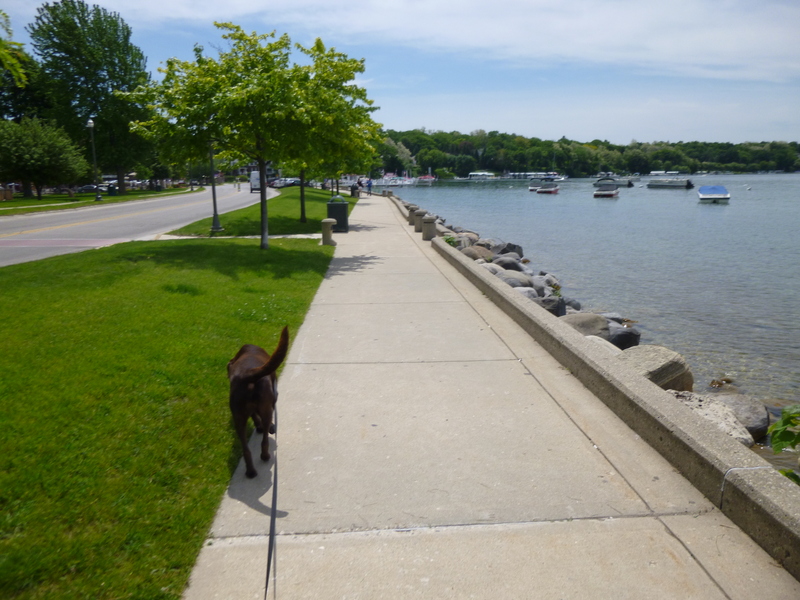 Tula and I covered 3 miles of lakefront walking, then I put her back in the car and headed in the other direction to get more than 2 more miles of walking in. This side of the lake still had very nice homes, but they weren’t quite as grand as the ones I had walked by earlier, and the lots were smaller. So I felt more like an intruder because the homes were much closer to the path. It would have been fun to walk all around the lake, but that wasn’t going to happen! 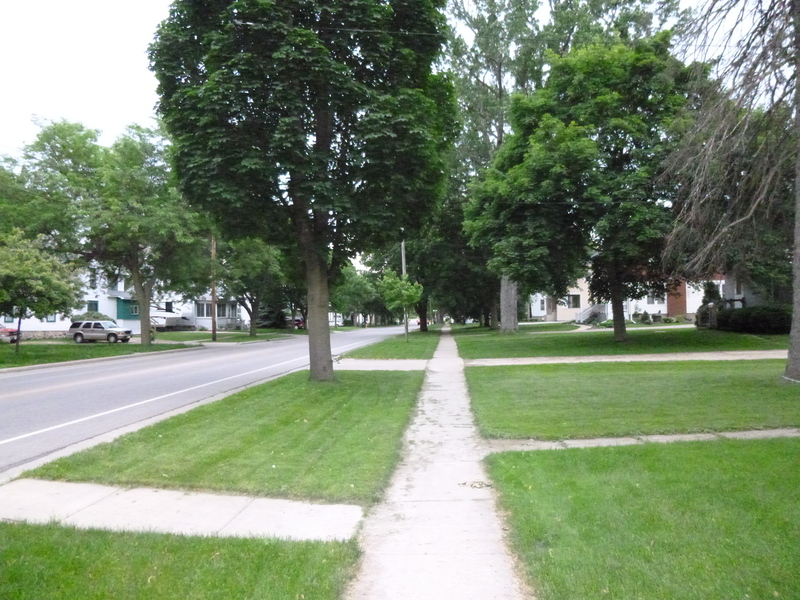 At least the path is just a little footpath, and is not open to bikes or anything other than pedestrian traffic. And occasional signs remind people that we’re on private property and to stay on the path, pick up after pets, and don’t pick anything. It was a very scenic walk. But after a couple hours of walking, I had to leave the lake to get up to the food pantry in Mukwonago that I’d chosen for the day. 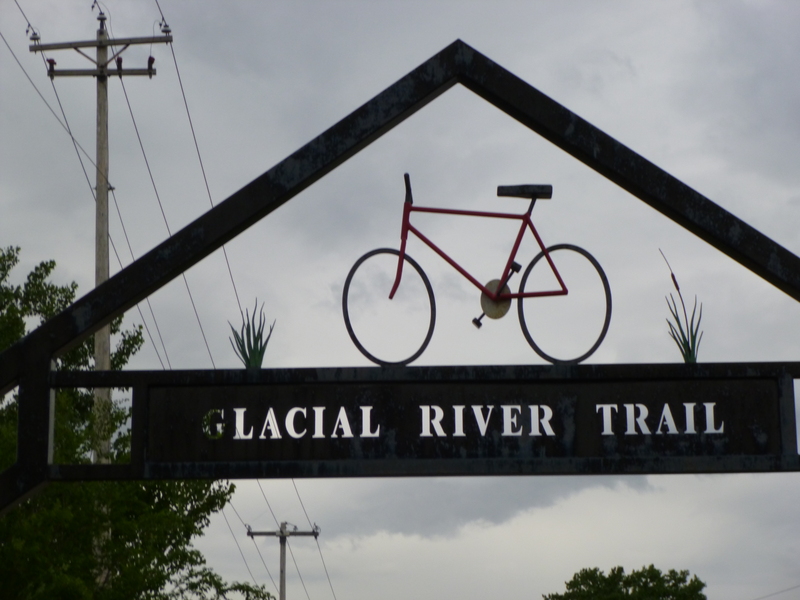 I liked the name of this place (it has something to do with bears) and it sounded like they had a nice program, so I had shopped for things from their wish list – laundry detergent, dryer sheets, dish soap, cereal and oatmeal, cans of ravioli, jelly and pasta. I found the food pantry, and met Cindy and Pat and we all chatted for a while. They were very interested in my journey and supportive of what I was doing. If ever I needed inspiration to continue on, talking with people like them would spur me on to finish – not that I’ve needed encouragement yet to keep going! This is going too fast and I don’t want it to end! 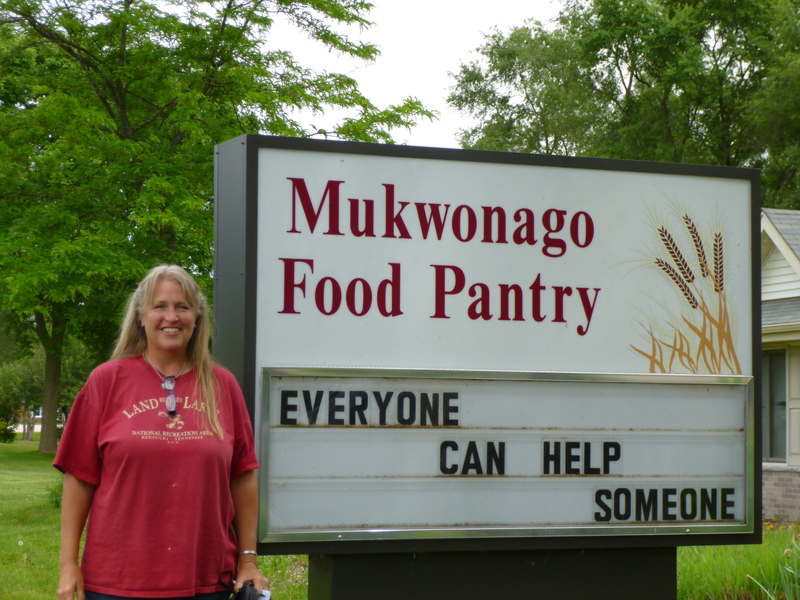 Cindy and Pat told me about the many programs that are run through the Mukwonago Food Pantry program. 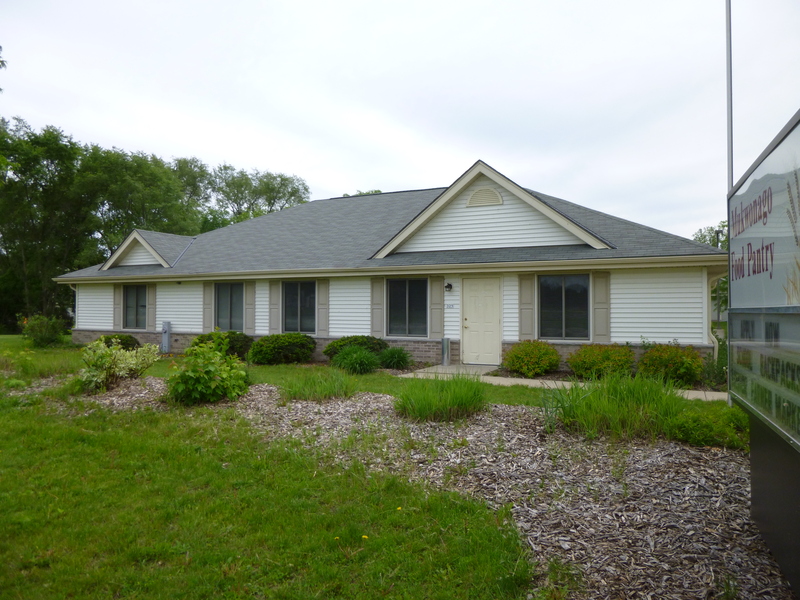 They have their own building on a pretty lot, and in addition to the food pantry, they also have things like a backpack program for school kids, diabetes classes, a shelter, energy bill assistance, senior chair yoga classes, and vouchers for seniors to use at the farmer’s market. They’re also working on a community garden with raised beds so that seniors can also work in it. There are roughly 14,000 households in the areas that they serve, and about 5,000 come to them for some sort of occasional assistance. All in all, it sounds like a very busy place with a lot of things happening, and I’m happy I found them – it was a good stop! From there I headed back south a bit to Burlington. 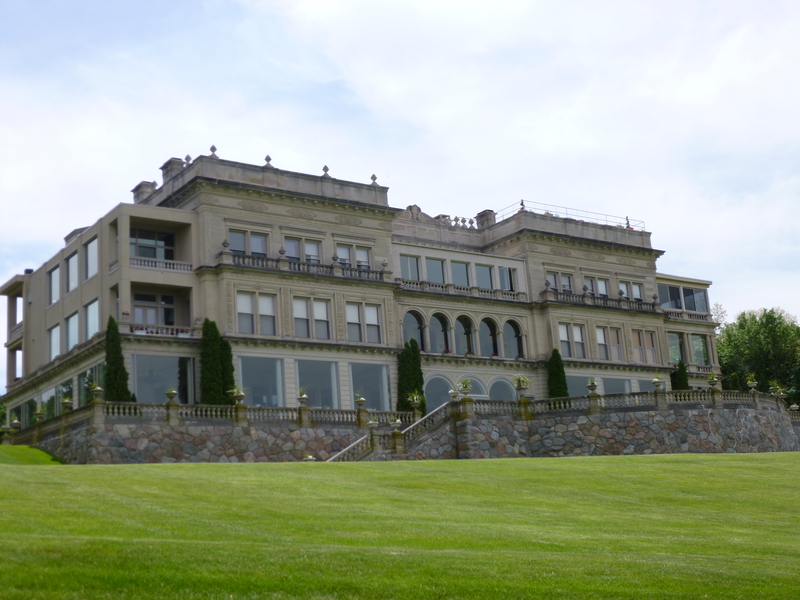 I had read that Burlington is the “chocolate capital of the US” and a big Nestle plant was there. 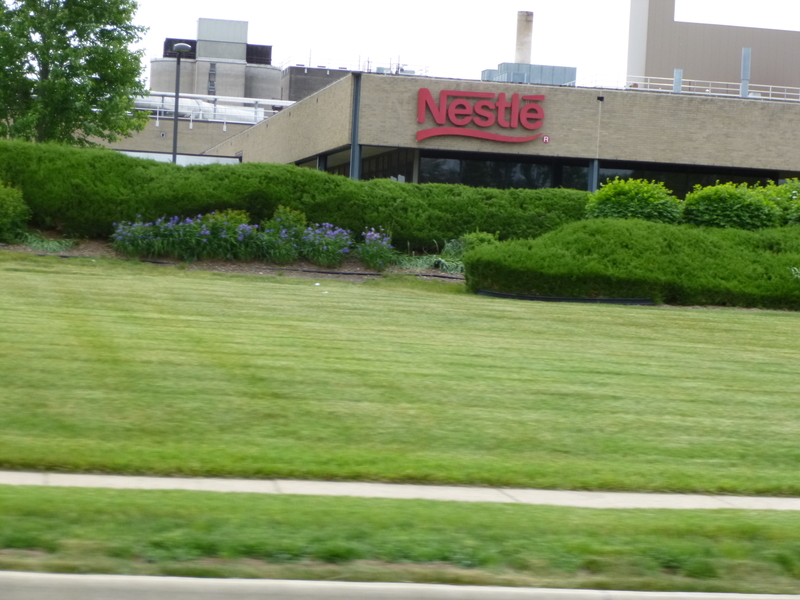 I was sort of hoping the Nestle plant did tours, but they stopped doing that back in the 1980s and I stopped by the little museum instead, but it mostly consisted of chocolate sculptures that had been made for their annual chocolate extravaganza over Memorial Day. 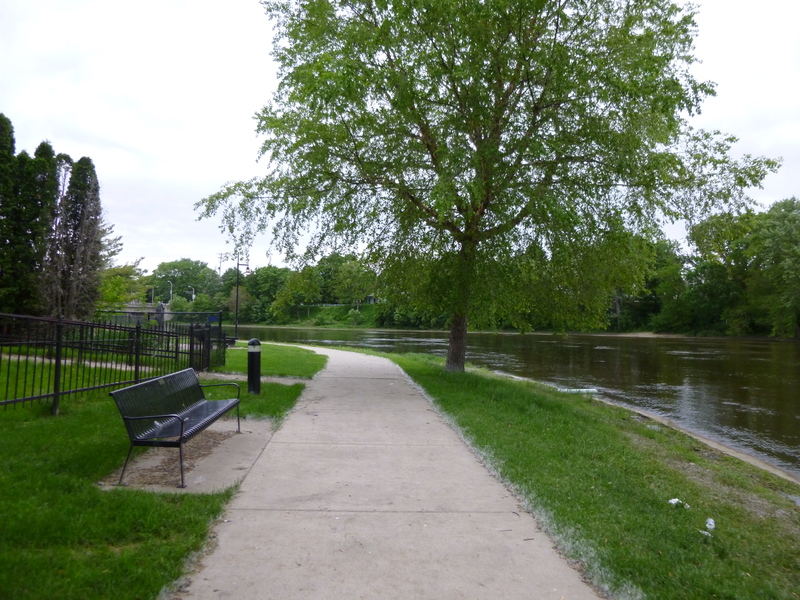 Tula and I did a short mile walk along their river trail, and then I started heading north to Fond du Lac. 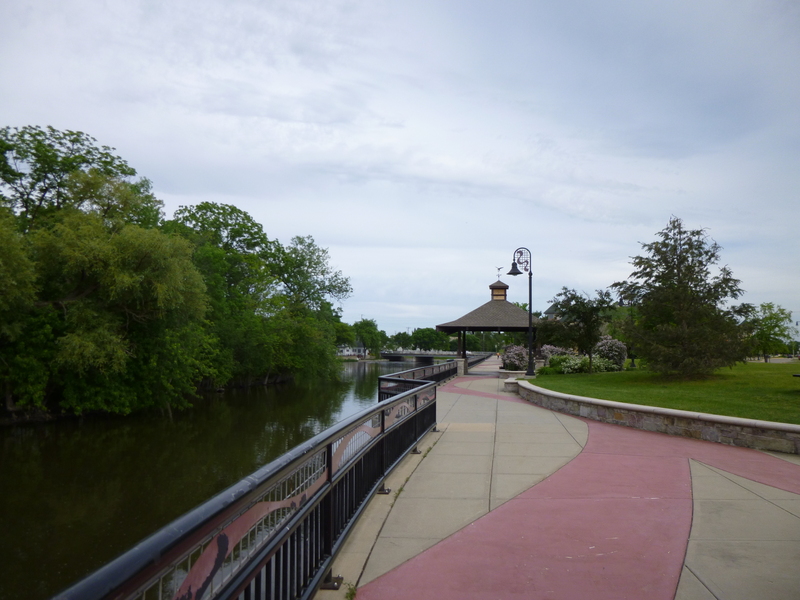 Along the way I stopped in Fort Atkinson so I could walk on the Glacial River Trail, and it was a beautiful evening out for walk. Tula stayed put in the car while I enjoyed a 3 mile walk along the bike trail. 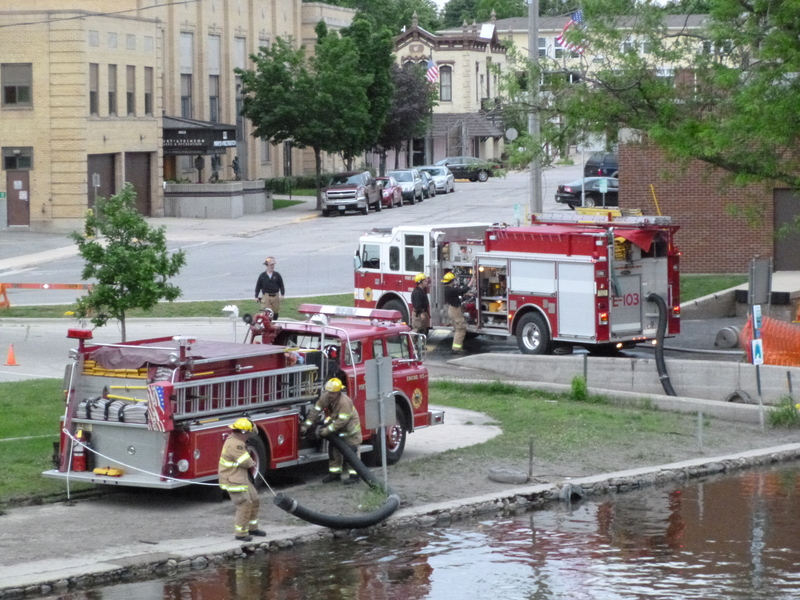 As I crossed a bridge back into town there were a lot of firemen and numerous firetrucks down by the river – either filling tanks with water or doing some sort of exercise with the hoses. 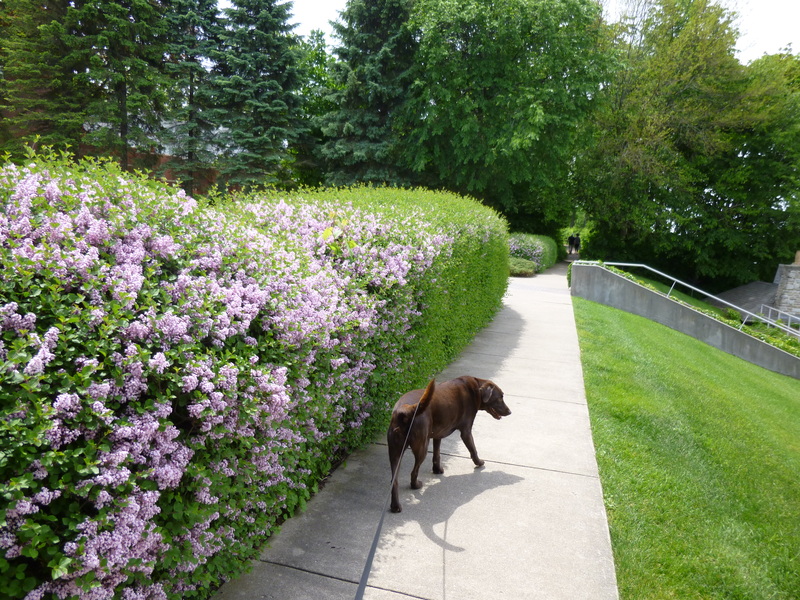 I wanted to get Tula out for a short walk before driving a bit more, and she was happy out walking in the pretty neighborhood, so we did another mile and a half. So I did a total of 10 1/2 miles of walking for my first day in Wisconsin!